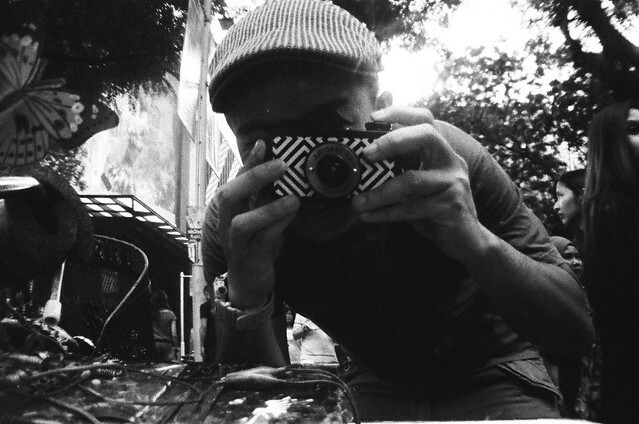 Last week, I was contacted by Kenneth from Lomography Gallery Store and invited me to shoot with a La Sardina. The photos would then be displayed for a mini-exhibition to be held in conjunction with the launch party for a new design of that same camera. They would lend me the camera, give me 3 rolls of b&w film, and I would shoot street with it for the weekend. 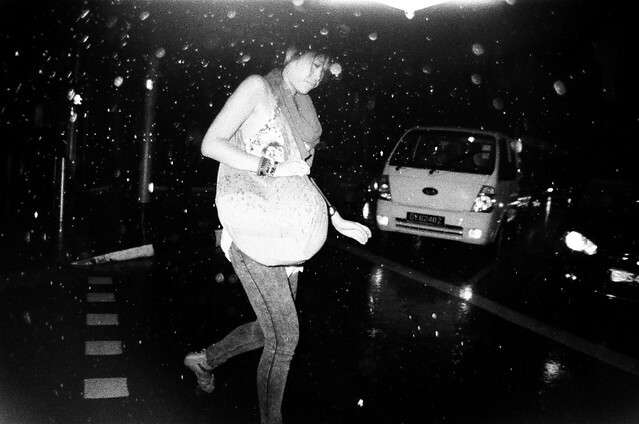 I always wondered how it would be like to shoot street with a lomo, so I said ‘count me in’. 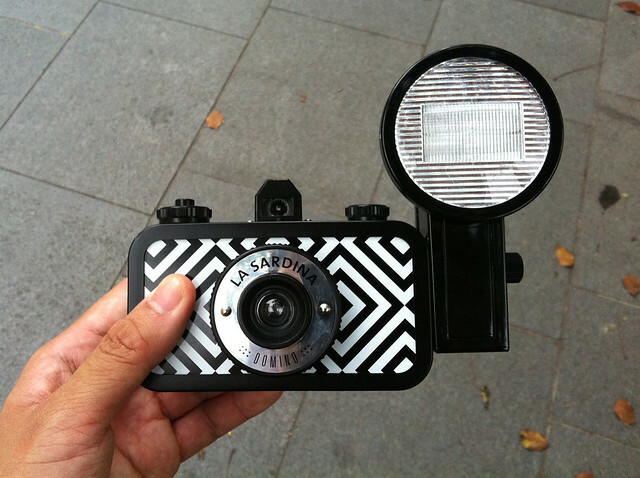 The La Sardina is a film camera with a constant 22mm wide angle lens. It was actually designed after a can of sardines – hence the name :) Slap in the ‘Fritz the Blitz’ flash and you’ve got this cute, retro toy camera ready for some street action. The weekend had overcast skies, and was raining for the most part. Since the camera had a constant f/8 aperture and 1/100 shutter speed, I was concerned that the photos might come out under exposed – so I decided to use flash. 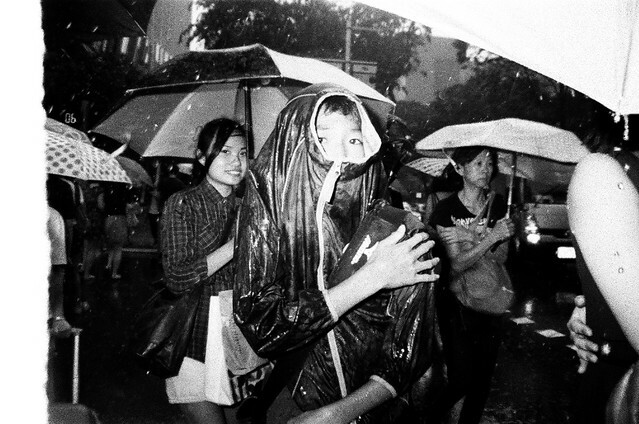 I guess it was high time for me to try out shooting in the street with flash, as made famous by Bruce Gilden and followed through by Charalampos Kydonakis, Charlie Kirk, Eric Kim, and a few more. 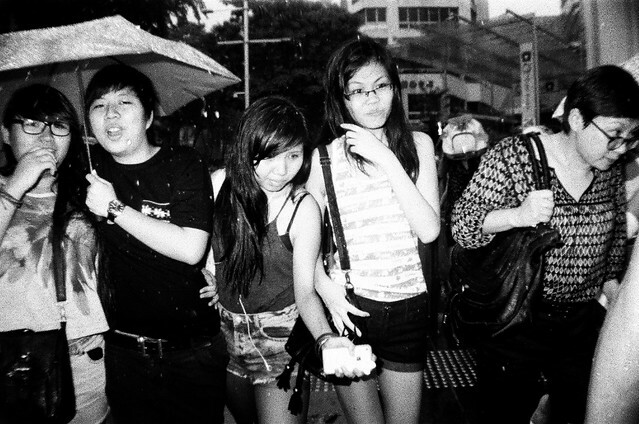 Shooting street with the La Sardina was quite liberating. I started out shooting the way I always do with my DSLR, but eventually found myself become a bit more daring. 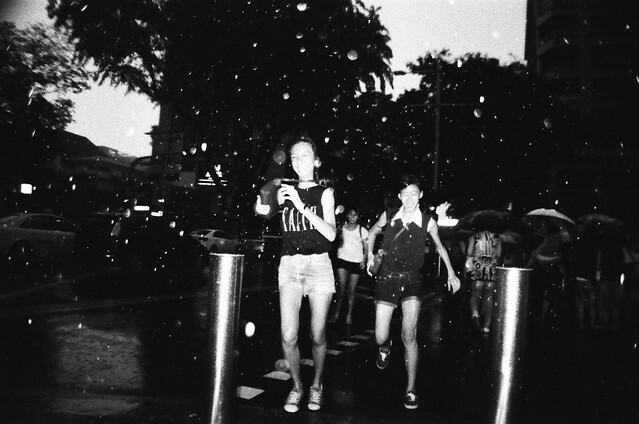 I had no idea how the photos would turn out, but I guess that’s the beauty of shooting with a lomo. 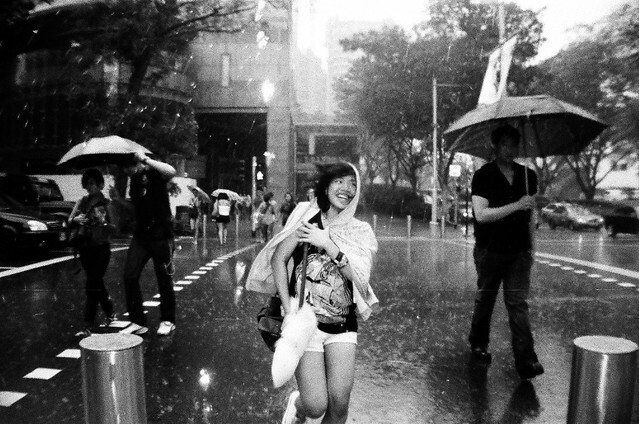 Looking at the developed shots, I actually like how the photos turned out. I finally achieved that authentic film grain :) This is not gonna be the last time I shot with a lomo cam, nor with film. So here are some of the shots I got over the weekend. I remember a quote from Diane Arbus: “I never have taken a picture I’ve intended. They’re always better or worse.” These are some of the better ones. 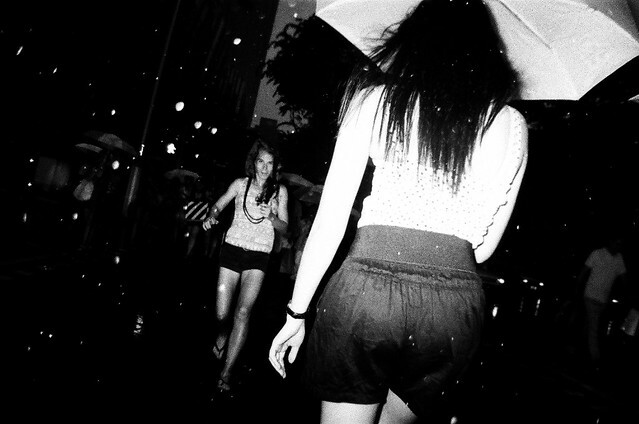 The photos were exhibited in the Lomography Gallery Store in Singapore during the launch party of the La Sardina Splendour. I also got the chance to present some of my past work to the visitors, as well as give a few tips on shooting street. Overall, it was a pretty awesome experience. Big thanks to all those who attended the party, and to the SG Streettogs: Jun, Jing, Dav, Callan, AikBeng, Reuben, and Tamara. Thanks for all the support, guys.. it’s really much appreciated. To see more of the photos, please click here. Hello there, I found your web site by the use of Google even as searching for a related subject, your web site got here up, it seems to be good. I have bookmarked it in my google bookmarks. It¡¦s actually a nice and helpful piece of information. I¡¦m satisfied that you just shared this useful information with us. Please keep us informed like this. Thanks for sharing. Thank you so much for giving everyone remarkably brilliant possiblity to read from here. It really is so terrific plus packed with fun for me and my office acquaintances to visit your website on the least thrice in one week to see the fresh guides you have. Of course, I’m also at all times contented concerning the awesome opinions served by you. Certain 4 points on this page are rather the very best we have had. I am now not positive where you’re getting your information, however good topic. I needs to spend a while studying much more or working out more. Thanks for great information I used to be in search of this information for my mission.